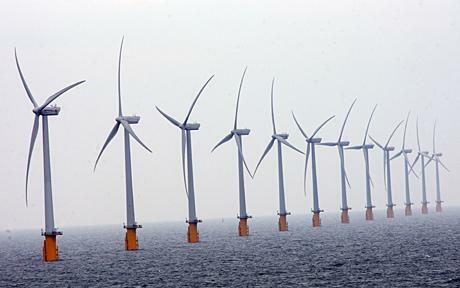 Britain ‘less windy’ so let’s put up more wind-turbines! No wind makes them useless! Here we get the information from an article in the Daily Mail titled “Why Britain has become much less windy over the past 30 years.” If true one has to ask why the big push for more wind power in the UK? A Dr. Robert Vautard, of the Laboratory of Climate and Environmental Sciences in Gif sur Yvette, France, has made this discovery. According to an astonishing new study, the weather has got noticeably less windy over the last few decades. Since the 1970s, the average near surface wind speeds across Europe have dropped by between 10 to 15 per cent. To meet Europe’s tough climate change targets, up to 10,000 new onshore and offshore turbines are planned over the next eight years. ‘An important question is whether wind power energy production is likely to be affected by wind stilling in the future,’ said Dr Vautard. Yes, I would say that’s an important question that should be answered before they start spending billions on wind power that may be even less efficient that it already is. It might be real interesting to see what effect this has had on the weather, too. Perhaps a lot of weather claimed to be the result of global warming is could perhaps be the result of less wind? Regardless not looking into this further before putting up more wind turbines is CO2 Insanity. Comments Off on Britain ‘less windy’ so let’s put up more wind-turbines! Uh oh! Many have been saying that wind-power is wasteful, it costs too much, has to be subsidized (with your tax dollars – I don’t know who the hell else you think the government steals money from), chops up birds faster than a Slap Chop dices eggs, isn’t reliable (no wind = no power that leads to the need to keep coal and gas power plants running to take the slack up), and they’re fugly. In spite of all of this, certain governmenttards and greentards evidently still think that wind-power is the way to go and they’re push-push-pushing for it in spite of the aforementioned facts. Seems the mantra is we have to be green regardless how ridiculous and costly an idea is. Britain has been touting their new off-shore wind turbines as the way to go, gonna save the environment, gonna reduce that nasty old anthropogenic CO2 and save us all from that global warming BBQ waiting for us all in the near future. Today we have an article in the Telegraph that shows us that wind-power is costing 2 times as much as coal or gas, not to mention that it will have to be subsidized for at least 20 more years. With cost rising, this will probably only get worse. If you look at the life of a wind-turbine it may be to the point that they never will be paid for in full before they need to be replaced, which will be yet another hit in the consumer’s pocketbook. Britain’s so-called “dash for wind” means that it is now the biggest off shore generator – producing as much as the rest of the world put together. Just remember that sage quote “bigger isn’t always better.” It’s probably also costing more, too. The report found that costs have risen for all kinds of generation but off shore wind farms remain by far the most expensive – 90 per cent more than fossil fuel generators and 50 per cent more than nuclear. Must be pretty bad if they’re not telling, which in itself could be telling that there’s “trouble in river city.” Want to bet it’s already more than 20 years and growing? So what do the idiots in charge in the UK plan to do about this? Why build more of them of course! Makes me glad I don’t live in the UK, where the loons obviously rule the roost. Read up on Prince Charles and you’ll get my point. It seems other counties are figuring out that there’s a problem and cooling to the idea. Per this other article in the Telegraph we see that…..
To green campaigners, it is windfarm heaven, generating a claimed fifth of its power from wind and praised by British ministers as the model to follow. But amid a growing public backlash, Denmark, the world’s most windfarm-intensive country, is turning against the turbines. This summer, France brought in new restrictions on wind power which will, according to the French wind lobby, jeopardise more than a quarter of the country’s planned windfarm projects. We also have the mafia getting in on the subsidies and carbon trading going on in Europe that you can read about in “Il Cappo di Tutti Windi.” This also has to be raising the price of electricity as you know very well that the end-users (ratepayers) will be the one’s to ultimately pay for all of this while the wind farms continue to get subsidized and the mafia continue to screw everyone out of every penny they can possibly get. CO2 Insanity, just doesn’t seem to want to go away. Another day, another scheme, another screwjob. Dead birds: oil bad, wind good? During my Sunday morning internet review to see what’s happening I was prompted by my reading to ask myself why does the general public get very over-excited about dying birds slathered in oil but for the most part (other than some groups who are aware of it) why do we not have similar mass excitement about the massive amount of our feathered friends who are killed by wind turbines? According to this article from Time Magazine published on July 29, 2010, the official tally of dead birds from the Gulf oil spill is about 3,000. So far, the teams have collected nearly 3,000 dead birds, but fewer than half of them were visibly oiled; some may have died from eating oil-contaminated food, but others may have simply died naturally at a time when the Gulf happened to be crawling with carcass seekers. Yes, 3,000 is about it, more wouldn’t surprise me, but I doubt we’re talking 100’s of thousands. Is this a significant number? Yes. But what about the big man-made cause of bird deaths, wind turbines? Obviously, I’m not the only one raising this question. According to a Politifact article found here, even the low-end counts are significantly higher. Here’s their math. 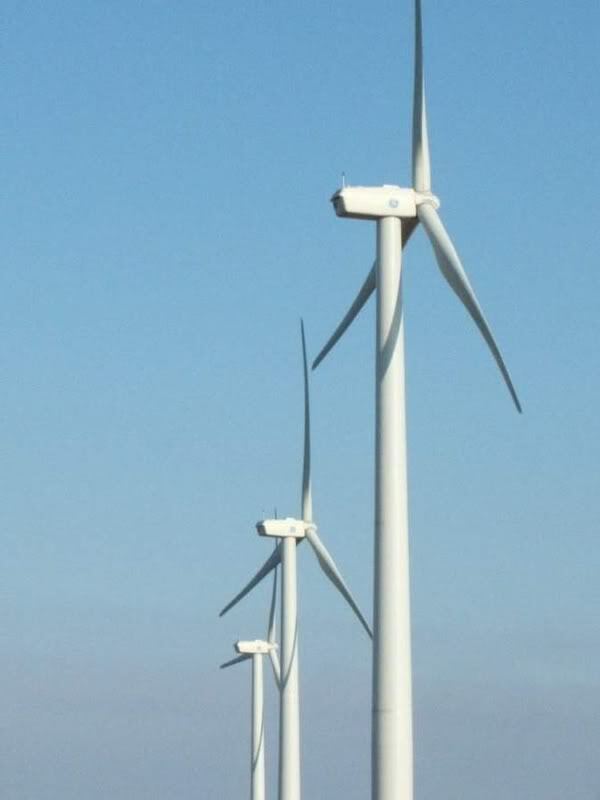 “With the increased capacity over the last seven years, we now estimate that 100,000 – 300,000 birds are killed by wind turbines each year,” said Conservancy spokesman Robert Johns. By our math, that comes to 274 to 822 birds a day killed by wind farms across the country. Per their math the best case is that it will only take about 11 days to equal the amount of birds killed in the Gulf oil spill to a worst case of 3.64 days. To put it another way, annually, that is about 33 times the amount of birds killed on the low-end, to about 100 times more on the high-end. Yet, I see little to no excitement about the astounding number of birds killed by wind turbines each year. But there’s a whole lot of hollering, yelling, bitching and moaning about the significantly smaller amount of birds killed by the Gulf oil spill. It’s an amazing premise, but one that seems to hold true. People just don’t get all worked up about birds killed by wind farms, or at least most don’t. 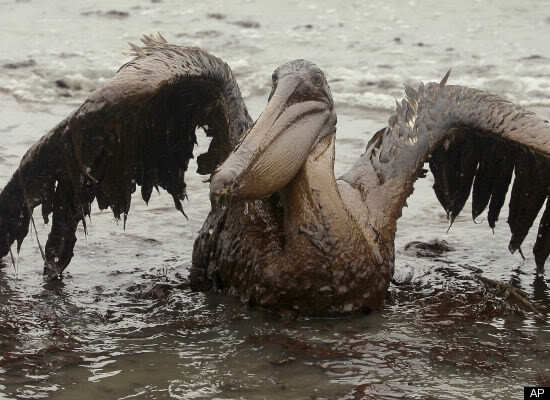 You certainly do not hear the outcry that’s been heard about the birds in the Gulf spill. This gets me wondering about the reason we don’t seem to care. Is it because we love the “green” wind farms so much that we’re willing to accept the bird kill for them, but we hate oil so much that we’re going to make a mountain out of a molehill when we get a large oil spill? Does common sense not prevail anymore? Is it that rare a commodity in today’s society? Or, is it propaganda? It seems that generally, when I hear anything about wind farms it’s a news item about how “green” it is and how it’s going save us from Al Gore’s profitable version of hell known as global warming. Are millions of Americans being led down the primrose path while forgetting there’s a collateral cost to wind power? Want more examples of the silliness? Below are links to articles in British news and other sites that are moaning and groaning about bird deaths from last winter’s non-global warming caused cold, and links to other articles about how they want to increase wind power in the UK. Very oxymoron like. Those are the same “green” people who love that good old “green” wind power that may be around for decades, killing birds. Yet, they will rail about a 100 day or so oil spill that by comparison, kills very few birds and is basically about over and won’t be killing more birds for long. This is proof that, for whatever the reason or reasons, people are clueless and they obviously don’t live in reality. They’ll go out of their way to save birds covered in oil, freezing birds and starving birds, yet they could care less about the massive amount of wind turbine kills we currently have and will increase as more wind farms are added. Amazing evidence that there is indeed CO2 Insanity. Have a desire for more information? While there are partial solutions like eliminating certain turbines, changing the type and height, shutting down 50% of the turbines during the winter when there are more birds and even a proposed total shutdown during the winter , the bottom line is it’s still going to kill a lot of birds. The other bottom line is that if they shut the whole thing down during the winter, then where’s the power going to come from? Coal? Nuclear? Solar? Natural gas? Something is either going to have to take the slack up or we’re going to suffer power shortages, which is conveniently ignored in the video. The other problem is costs. There’s no mention of what all this mitigation for birds is costing the taxpayers or the people purchasing electricity for homes, businesses and the new wave of plug-in electric vehicles. Wind power is also heavily subsidized (aka: your tax dollars are paying for it). Think not? Here is an article about how Los Angeles is rasing their rates to subsidize wind and solar power generation. Want to know how much it really costs? From here we get the following. Renewable energy apologists often assert that renewable energy subsidies are necessary to “level the playing field” regarding subsidies given to coal. According to the U.S. Energy Information Administration, however, solar power already receives more than $24 in subsidies per megawatt hour of electricity produced. Wind power receives more than $23 dollars per megawatt hour. Coal power, by comparison, receives less than 50 cents per megawatt hour. Note that it doesn’t matter where the money comes from. regardless if it is subsidized by state or federal government, or via a rate hike it’s ultimately your money coming out of your wallet. So, next time you fire up that electric car, watch TV, turn on the lights, cook dinner or whatever you do that uses electricity think about all the 100’s of thousands of birds that are dying if you get any of your electricity from wind turbines. Funny we here a constant din about “evil” big oil, but nada about this. No common sense there, financially or otherwise. Comments Off on Dead birds: oil bad, wind good?